Buying the best treadmill on budget is not easy. You deserve something that do its job, fit well in the room and have a solid frame; something which don’t shake with your every step. While treadmill’s are commonly associated with running they are also used for walking. While all designs are good for a walk; the one designed for walk does the best job at lower cost. Walking on a treadmill is a great form of cardiovascular exercise with much asked flexibility. Whether it’s raining outside or want to burn some calorie in leisure time. Having a treadmill really makes a difference ! Carving an hour out of your busy schedule is hard specially when you have others things to take care in free time. It’s not new that we ought to miss on our morning exercise or regular gym timeline. Having a treadmill at home makes things easier with ease to reach out on great burn ( weight loss ) on your arms distance. Why You Should Buy A Treadmill ? 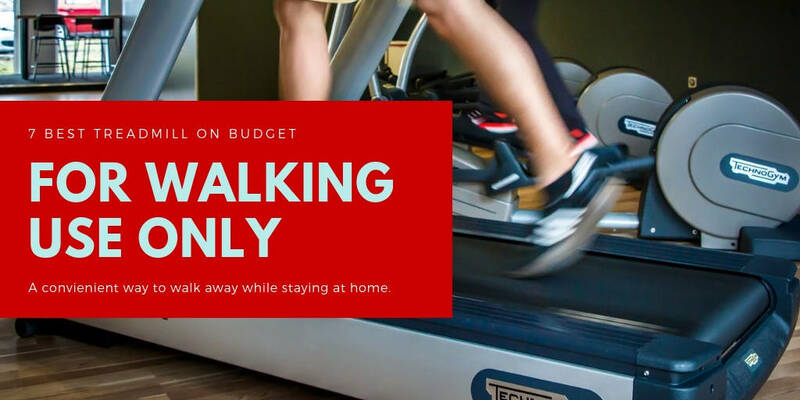 Buying a treadmill means you can do workout burning up calories at convenience of your home. You don’t have to go to the crowded gym’s or share those stinking locker room for change. It’s just wake up at your choice and enjoy good burn watching your favorite show on Netflix. At home it can be really a game changer with scope for multitasking attending phones, watching your favorite show on television or finish some quick things on the laptop. The real benefit that you have to not think of outside weather or time for doing exercise. No body wants to go out in mid winters or during rain to exercise; and so we make excuses ! With having your personal walking machine you just can’t make up with silly excuses with yourself; leading to consistent workout. I know many of it came at a price; but the one specific to walking or slow jogging are relatively cheaper than ones specific for running purpose. Having it installed at home you don’t have to worry off the knee injuries; one can have due to walking on hard irregular surface. With flat surface and shock absorbents your knee won’t even face the same jerk’s it normally face walking on streets. So start preparing making some space in your room or house and say good buy to your weight loss worries. How Do We Came Up With The List ? I personally know how much our opinion matters to you when deciding what to buy for your needs. So i have gone so far as spending hours researching and trying a few ourself before writing anything about it. My research include going through articles after articles and product after product to know the best i can over the last few days. I have contacted people already using treadmill’s in person to know their account and at last tried a few myself to judge them on the scale of truth. The things i look upon in my research and in-hand observation / test are; its structural strength, ease of handling, size, motor capacity, life expectancy, reseller cost, warranties and extra features like U.S.B and Mp3 play. Before i could recommend any of the product i tried 3 of them personally to test “Are they really best for walkers”. For the ones i could not try myself i take accounts of those who had used them in past. After a great deal of effort, research and initial investment; i present you with my list for best Treadmills for walkers. When people think of the treadmill they usually think one with inbuilt motor and different accessories. Motorized treadmill’s are while more popular they are stiff ( Less Compact / Portable ) and costly. While both can be used for walking i will show different models of both these types; so you can choose the best. It’s a decent treadmill for the price ! This electric Treadmill have a 1.2 horse power motor with a speed up to 4 miles an hour. It’s reasonably heavy duty and best for the specification at reasonable price. Since its foldable it can be easily set up and unfolded in no time. While you will never need to do it; this folding ability helps you de assemble clean and put it under your bed. With its compact design and shorter size it can fit perfectly in any corner of your house even your bed room. It’s this small feature to fit in to any place makes it popular among all users. It arrives in one box almost fully assembled with too little to do for yourself; making it easier to set up and try on the go. The device came with a 39″ x 14″ belt size providing suitable width to walk or run slowly with comfort. It’s heavy duty structure looks strong and solid which can easily take up to 220llb weight. The state of the art safety guard system connect you with the system to ensure your safety providing auto emergency stop. 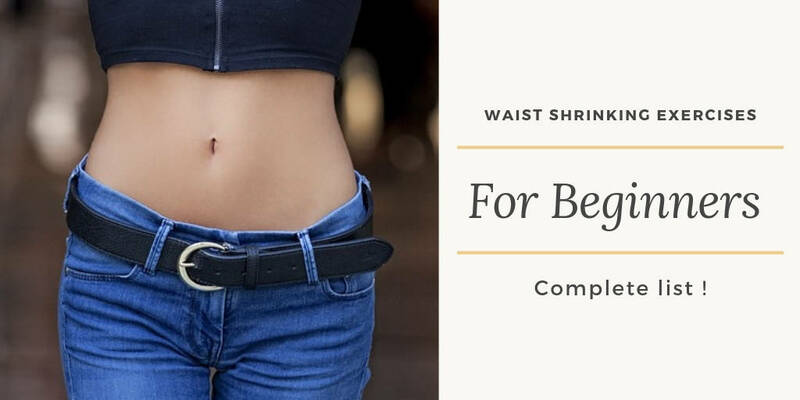 The additional basic accessories such as mobile holder and LCD display helps keep check on your distance, calorie burn and speed while listening to your favorite song. A magnetic resistance treadmill is the one which does not require an electric motor to work. They utilize your force and friction at your shoe to run or move. While it appears basic its ability to consume your own energy to run help’s burn more calorie in shorter distance or overtime. These designs have slightly incline tracks to better utilize the forces. This further increase the amount of calorie you burn per 100 meters. It’s a great product for someone who want to get more results, is happy with basic function and is on a tight budget. The confidence fitness magnetic manual treadmill with its 15″ x 40.2″ running surface can support a user with weight less than 220 lbs. The running machine is cheap, easy to install, lightweight and quite easy to fold up and store at the the back of your bedroom. If you are not desperate for a multi touch panel or haywire state of the art technology; its pretty good machine to serve your daily fitness needs. But since the manual treadmill’s are pretty basic with little to no machine; you are pretty much restricted to what you can do with your daily workout’s. The Miageek folding professional treadmill is designed to give high quality premium workout experience. It offers a complete set of commercial grade features at affordable price. With its high-tech display panel with different workout programs and heart sensors; its a perfect set for those who want to invest in high quality machine. With 12 preset training programs you can achieve your fitness goals with much ease within target time; all without the help of personal trainer. It’s robust and versatile offering 10 different setting targeting different muscle group. It is installed with the 2.25 HP motor with noise reduction technology with auto stop safety feature. While its workout programs are the most like feature; its also hard to ignore its personal health report, smart app control and its Bluetooth and mp3 connectivity. Furthermore it can be easily folded and stored when not needed; something you won’t find too common with professional treadmills. It came with a sturdy steel frame which can take load up to 220lbs of body weight. The 41″ x 14″ running area it can easily handle your walking and jogging needs from speed up to 0.5 to 9 Mile per hour. At last it is loved by its user for its high tech feature for the affordable price. Large LCD display with backlit glow. Solid structural with phone and bottle holder. If you ought not to buy just for a bare need but to invest in your personal health; its definitely the way to go for. It’s pretty solid machine something much expected at this reasonable price. Being one of the top model in personal training machine the treadmill is equipped with all latest tools and programming. When it comes to performance and features it beats even the one you usually see in premium gym / sport facility. This electric treadmill is idle for all needs from walking to running as up to 12 miles per hour ( The limit of Human Speed ). It’s 4 horse power electric motor provide much needed power to maintain speed with up to 386 lbs weight. It’s one touch control panel allows you to choose between different workout programs, manual speed control, fitness report, display settings and running parameters. The inbuilt or-tho flex suspension system ensures you have a shock proof nice workout experience even with extreme inclination, weight and speed. The Elite runner / walker treadmill came with lifetime guaranty on its frame and motor and up to 10 years warranty on all associated parts. Even more if you buy it on amazon it came with an additional 1 year full replacement guaranty. Orthopedic tread belt with motorized inclination. Built in high power fans to ease you off while workout. Not much affordable for many mediocre family. Cannot be fully folded and move. If you don’t want to invest heavily and want somewhat functional machine that satisfy your needs; the weslo treadmills are the way to go. It’s reasonably sturdy and powerful for the price range with easy to assemble setup. It’s suitable for office goers with busy work schedule and want a quick workout in free time. The 2.5 horse power motor with state of the art noise absorbent shocker provide high power – low noise output. The treadmill came with a 16” x 50” running surface with cell crushing effect. If you just starting out on your daily workout or weight loss goals its the best suited for walkers. It’s two position adjustable incline position helps develop endurance and burn even more calorie for the same distance. It is also equipped with a basic LCD display representing speed, distance, calorie burned and daily progress. Moreover it’s easy to fold design makes it much easier to move and store when not in use. While the product arrive almost assembled the rest can be done in minutes; following easy to go step by step instruction in basic English. The company have a better customer support with all native English speakers. With its many desirable features its definitely premium product for the price range. 2.5 Horse Power motor for high speed and strength. Built in LCD display with backlit. We all grow old and lazy with time and need continues exercise to keep our body parts in good shape. We all know how age makes our bones weak and joints less flexible. If we don’t keep up with regular exercise the process only gonna to accelerate in future. So it’s more than necessary to workout one or another way to shed off the effects of growing age. But its hard to run for long in the free sky and not all treadmill are friendly for elders. The goplus electric treadmill is best for the seniors even with ones having difficulties operating normal treadmills. Unlike others designs it came with a extra support structure suitable for elderly. The cushioned running surface further reduce the risk of stress induced on past knee injuries. The product came with an easy to read LCD display with bold letters and digits; something better for elderly with eyesight issues. This electric treadmill is equipped with 0.75 horse power motor idle for all walking and needs. With 45.5″ x 15″ walking surface it provide more than ample space to workout with ease. Not all treadmills are made to look stylish and new; something you can display with pride to your friends or guest. The goplus 1.5hp smart electric treadmill came with a folding structure that not just do its job but look great in all corners of your home. It’s so much handy to set up or fold that you can literally fit in within your closet. It’s 2.5 horse power motor equipped with sound dampers offers a quite and smooth running operation. The motor with its high power is well intended to operate without any vibration for walkers and slow runners. It came with a 11″ LED touch display controlling different aspects of the treadmill function. It is preinstalled with 3 basic exercise modes with 99 workout programs to choose from helping burn more calorie, build endurance and tone more muscles. It’s only among the few designs that fold horizontally and automatic / manual adjustable incline. It also came preinstalled with a better sound system to ease off your workout experience. Furthermore total app control feature really makes it unique in own kind. If you like to checkout more reviews and technical specification of the product; feel free to Find IT Over Here on Amazon. No description on how to operate in user Manual. Summing It Up For The Pick Of The Day ! With too many brands competing its hard to pin point one good treadmill for walker. When i judge on the level of motor capacity, structural strength, features, ease of handling and workout programs; i pick the 3G cardio elite treadmill. It have all the features and comfort with an added advantage of high resale value. But when i add money to the deciding factor it falls far behind due to its unexpected high cost. So the brand product that fit well on almost all the parameters inducing budget; i select the weslo R 5.2 treadmills. But remember none of the above brands or product is too much Superior or too bad. Instead they are all best at one or another aspects and its up to you to decide which one to pick for your home.